With Spider-Man: Into the Spider-Verse still fresh in everyone’s minds, what better time to remind us that Marvel/Sony have a new live-action Spider-Man movie swinging our way, emphasis on the “live” part. The first teaser trailers for Spider-Man: Far from Home, which find Peter Parker (Tom Holland) teaming up with Jake Gyllenhaal‘s maybe-good guy (but probably not) Mysterio to fight some mysterious elemental entities, clearly takes place after Avengers: Endgame, yet there is no inkling of what transpired in the final showdown with Thanos or how Peter is dealing with being back from the dust, er, dead. The trailer is fun, it’s light, and it feels very much in the style and tone of the first movie, which perfectly managed to capture Spider-Man’s youthful exuberance and inexperience without being too bogged down in the teenage/superhero angst that destroyed the first two franchises. As a bonus, there’s also a slightly different international teaser trailer to enjoy. 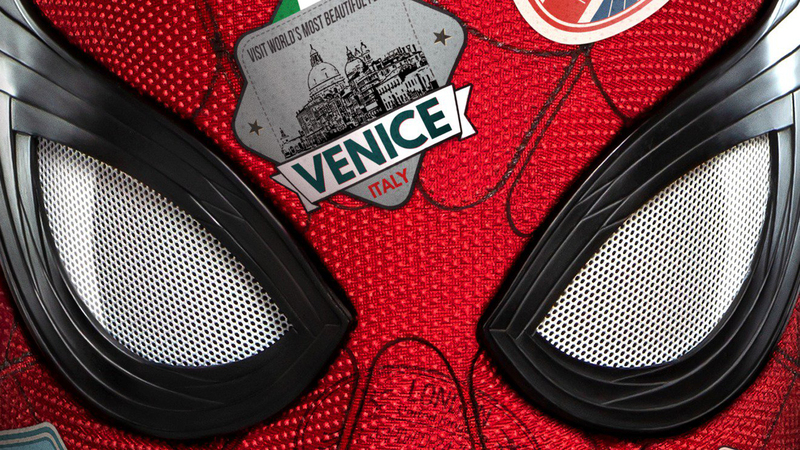 Far from Home was directed by Jon Watts, from a script by Chris McKenna and Erik Sommers. It is the sequel to Spider-Man: Homecoming Michael Keaton, Jon Favreau, Jacob Batalon,Zendaya, Marisa Tomei, Cobie Smulders, Angourie Rice, Martin Starr, JB Smoove, and Samuel L. Jackson also star. The movie opens in theaters on July 5th.